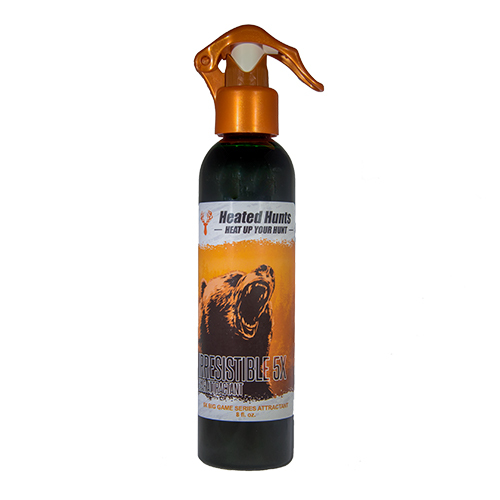 Irresistible 5x Bear Attractant by Heated Hunts is an master crafted blend of top attractants to Bear’s curiosity and lure them in. Irresistible 5x Bear Attractant by Heated Hunts is a master crafted blend of top attractants that piques the bears’ curiosity and lures them in. 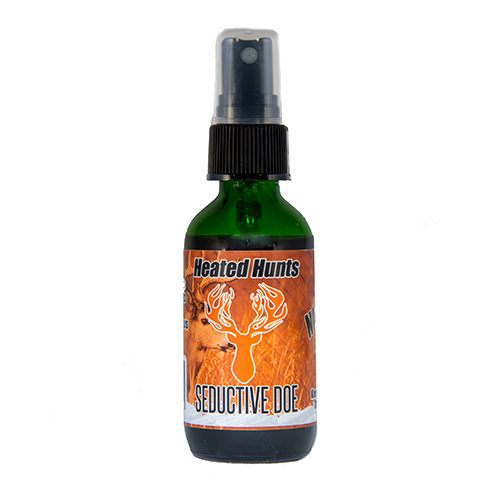 Heated Hunts does not dilute Irresistible 5x with water or any other unnecessary cutting agents. In fact, we ensure it is in its purest form, which results in the strongest aroma. The hunter and the bear can smell the difference! Moreover, our Irresistible Bear Attractant is a throw back recipe based on generations of hunters that uses tree resins and extracts like vanilla and more. The blend smells similar to anise oil but does not gel at 56F and is a stronger concentrate. 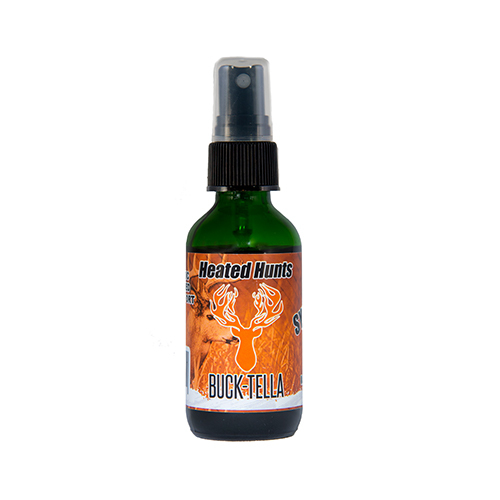 The hunter can simply fill 1 fluid ounce Heated Hunts Irresistible Scent into their Heated Hunts Heated Scent Dispenser. The hunter can also spray the Irresistible Attractant down wind while walking into their stand or directly on the ground or surrounding area.